I was in the mood for some stamping, but then the corner of my indexfingernail broke off - again :/ So I decided to file my nails down, but that made a lot of images too big for my nails! 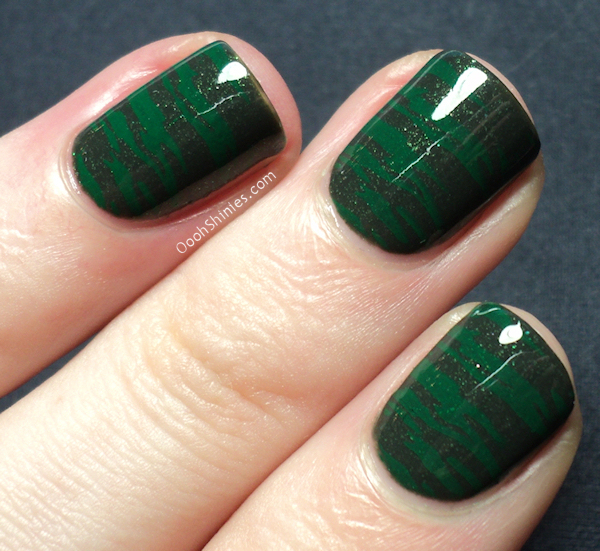 Luckily my nails grow fairly fast, and for now I went with an image with stripes, can't go wrong with those I think :) The stamping is pretty subtle (of course it's more obvious when blown up like on my photos), but the green stripes pop out a little bit more in real life. Mattifying it would've probably helped, but I decided not to do that for a change, I enjoyed the shiny shimmer too much! 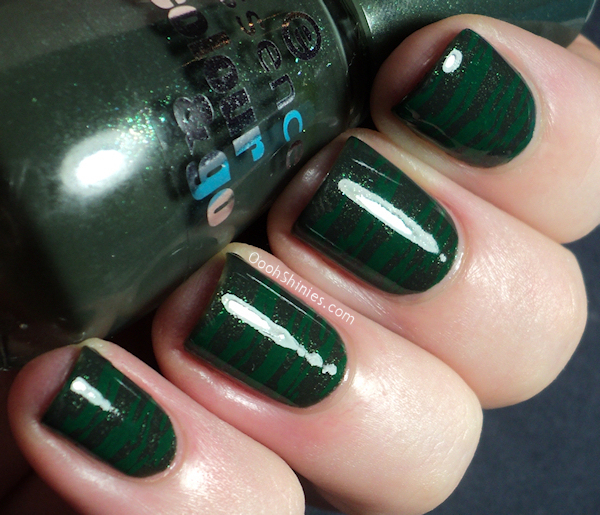 Essence Walk On The Wild Side with Konad green and MASH plate 38. Ahh look at that pretty shimmer! 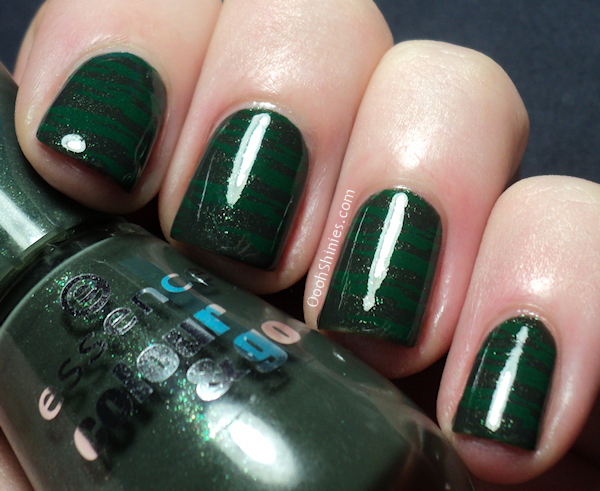 You can see swatches of the polish without stamping here.